Hi Abbie Hutty! What is your job and what is the most exciting part about the work that you do? 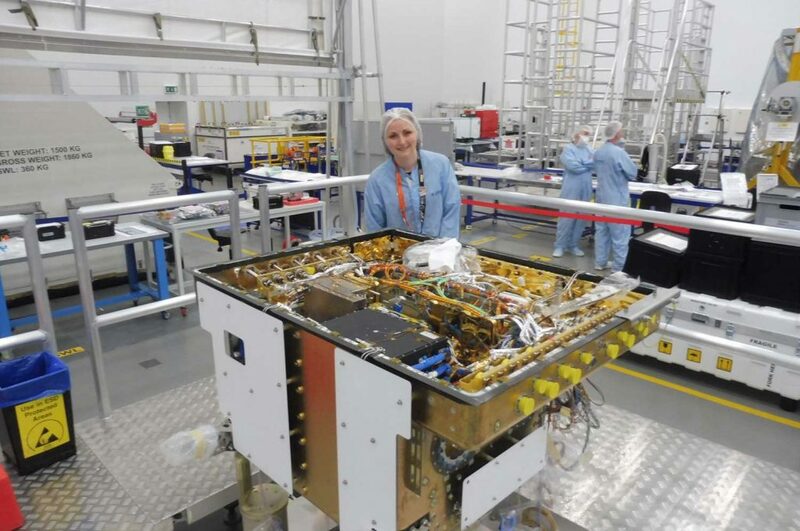 I’m the delivery manager for the ExoMars Rover – which means I’m responsible for making sure all of the instruments and components that come together to make the Rover are designed, built, tested and so on in time to build the final Rover. It’s different every day as I get to get involved in all sorts of elements of the Rover when things aren’t going to plan, and have to come up with ideas to work around any problems we have. I think the most exciting part for me is just knowing that things I work on are actually going to Mars! I also love getting to write “Martian” legitimately in my technical reports! What motivated and inspired you to pursue a career in the STEM industry? I always knew I loved creating things, and wanted a career where I got to design and create. When I was doing my GCSEs I was lucky enough to see a feature about another British Mars mission, Beagle II, on the news. The man being interviewed was explaining that British Engineers were designing this probe to go to Mars. 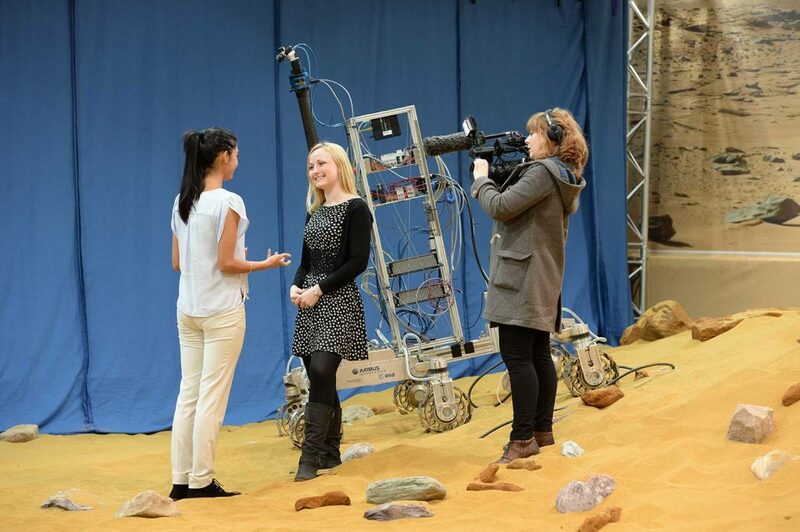 Before then I didn’t know that you could work on Mars missions in the UK so thought this kind of a career wasn’t an option for me. To find out I could work on these world-leading, exciting missions right here was so exciting, that I decided to study Engineering and try to make this my career. A lot of people ask me if I’m going to go to Mars myself, or think that the only people who work on Space missions are astronauts – that’s just not true. There are thousands of jobs supporting every major space mission and personally I much prefer the idea of designing the mission than sitting on the top of a rocket! What were you like as a child and what interests and hobbies did you have? I liked any hobbies that were creative. Art and Design Technology were always my favourite subjects at school. I was ok at Maths and Science, but it was never as exciting to me as building and drawing things. Engineering for me is just an extension of that passion for making things- just now the things I help design are going to another planet! It really is possible. And there are so many different jobs and roles that you need to make a space mission- there really is something for everyone. There are roles right through from the mathematics needed to calculate the route to fly to the planets, through designing the structure, the electronics, or writing the software for the mission, and then all the people who actually physically put the spacecraft together. The most important things are just to keep making things, and keep learning maths and science, and to stay curious! 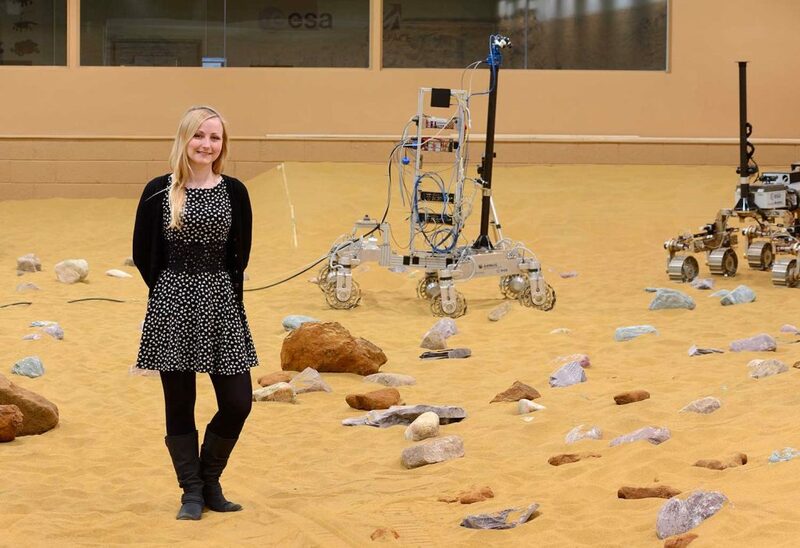 Why do you think it’s important for humans travel and explore Mars? Personally I don’t think it’s important to send humans to Mars – in fact I think it is much better to send robots instead as they can do all of the same science, and are much hardier than humans! There are so many dangers in going to Mars and if we send robots instead we don’t put any people in danger. There also might be life on Mars – we are still trying to find out – but if we send humans to Mars we will contaminate Mars with Earth life, like bacteria and other organic compounds. If we do this before we manage to answer for sure if life already exists on Mars then we won’t ever be able to be certain if anything we find there originated on Mars or whether humans brought it with them. Where do you think we’ll be in 50 years in terms of Mars exploration? I think we will send humans to Mars (although I’m a bit worried about us contaminating Mars, like we have here on Earth). I think we will do this within 50 years, though personally I think it will be many years from now before the first human sets foot on Mars, and even longer til the first person manages to go to Mars AND come back. What we do when we get there depends a lot on the technology that we develop, and how quick we can make the journey times – if we can get the journeys to be quick, safe and cheap we might be able to mine resources there and send people on holiday there and all sorts, but if the journey is long and expensive it may not be worthwhile. That’s why we need lots of new engineers to come into the industry to develop all this new technology! 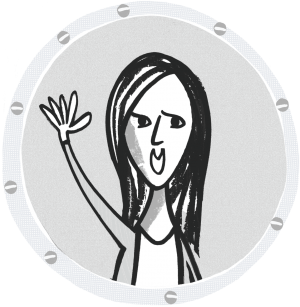 Abbie appears in Activity 3.4 Design Your Mars Rover in Chapter Three of the Mars Diary. View the activity here.